two weekends ago my mom & i flew to florida to meet with kelly & kristen for the princess 1/2 marathon! 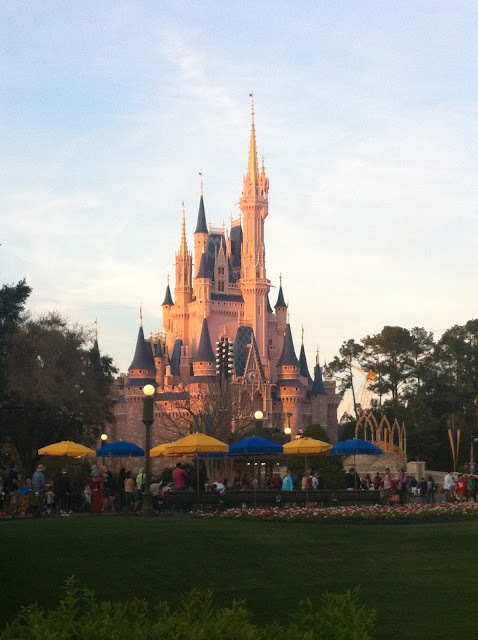 it was a lot of fun & really cool to see the differences between disneyland & disneyworld. saturday morning we all did a 5 k with jo around epcot. it was really fun! epcot shows all different parts of the world so it's really cool to wander around, plus, it wasn't open during the 5k so it was cool to see it without anyone else really there. we then went to the magic kingdom & finished early so we could all rest before the big race. i've decided i like racing. i don't like running, but i like racing. theres such a hype once you start going and you see all the other racers! kelly signed me up for the disneyland race in september which i'm pretty excited about.